Trying to set up a team meeting with your client in New York and an illustrator in Manila? 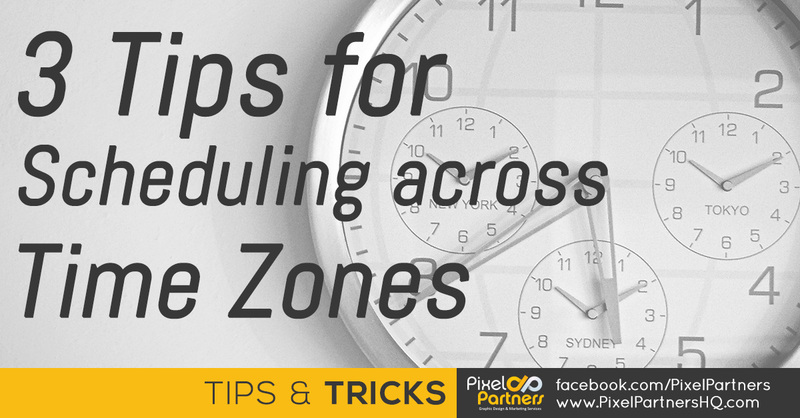 Here are some helpful tips on how to make scheduling across time zones easier. Adding a world clock to Google Calendar gives you the current time in different parts of the world right at the calendar dashboard. 1. Click on the Gear icon at the right, and select and click Settings. 2. In the Settings screen, click on the Labs tab. 3. Scroll to the end of the page to find and Enable World Clock then click Save. 4. You will now find the World Clock gadget at the right side of your dashboard. 5. Choose which time zones should be displayed in the World Clock. To do this, click Settings at the bottom of the World Clock gadget. Tick your selected time zones and click Save (located at the top). 6. Your selected time zone should now appear on the World Clock gadget. World Clock Meeting Planner from timeanddate.com helps in choosing the best schedule that works best for people in different time zones. 1. 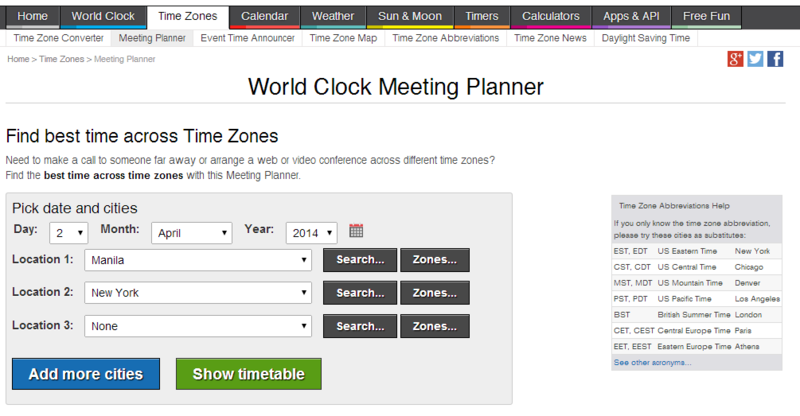 Click here to go to World Clock Meeting Planner. 2. Select 2 or more locations that needed to schedule and click Show timetable. You will be shown a timetable for the time zones, as well as color codes that indicate the best time for both. 3. You can click to a selected time and add the time to your calendar. Searching the key sentence “What time is it in [location]?” on Google actually gives you the current time. Useful for when you just need to know right away! 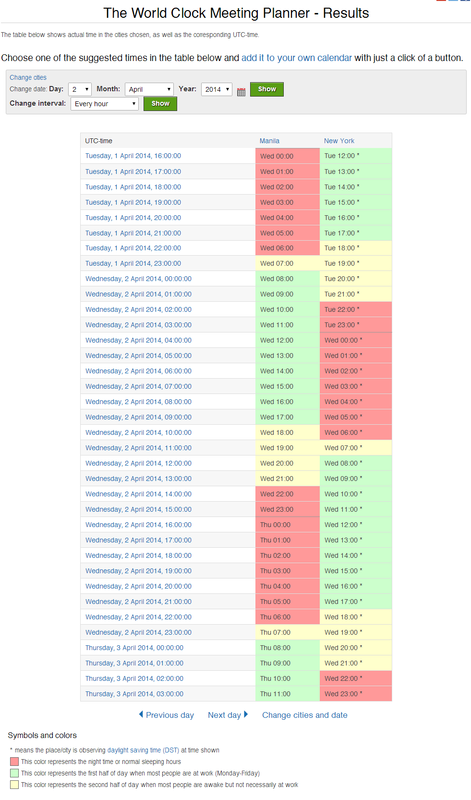 Know of other tips to make scheduling across time zones easier?